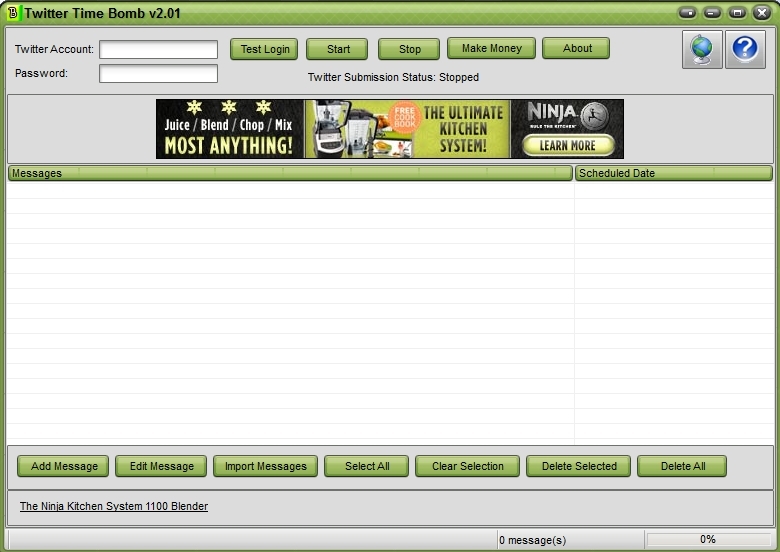 Twitter Time Bomb is an invaluable tool for automating scheduled posts to your twitter account. This desktop based software completely integrates with your twitter account and gives you full twitter functionality without the need for accessing your account through the twitter website. Saki Bomb is a timed jigsaw puzzle game. Complete puzzle before time runs out. actiTIME is a free web based timesheet that integrates with QuickBooks. TimeSage is a tool for general time recording, e.g. tracking hours worked. Qweas is providing links to Twitter Time Bomb 1.0 as a courtesy, and makes no representations regarding Twitter Time Bomb or any other applications or any information related thereto. Any questions, complaints or claims regarding this application Twitter Time Bomb 1.0 must be directed to the appropriate software vendor. You may click the publisher link of Twitter Time Bomb on the top of this page to get more details about the vendor.